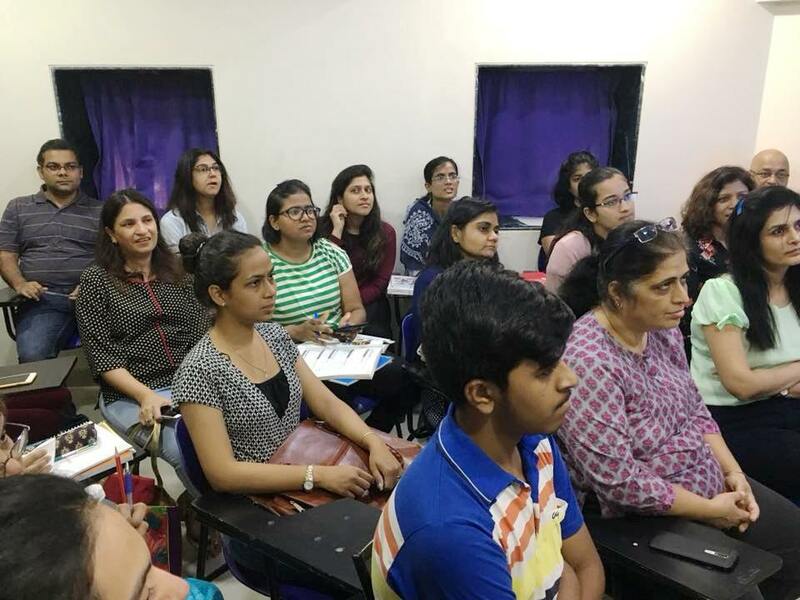 Hispanic Horizons is a Spanish language institute, active in Mumbai and New Delhi. While it conducts classes, both physically and online, it also supports the growth of Spanish language by way of translations, interpretations, voice overs etc. Our relationship with Hispanic Horizons is a long one with two of our team members (one ex and one current), dealing with Spanish language work being from this institute. 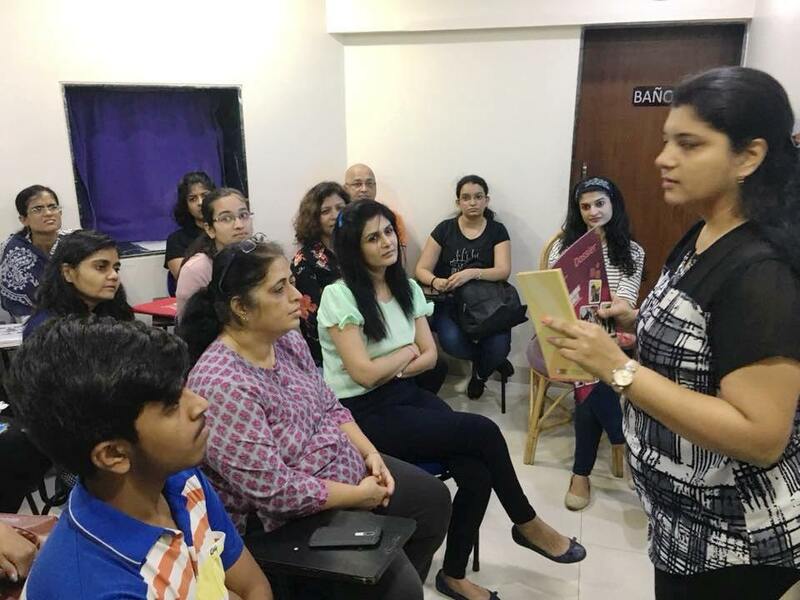 To continue this healthy relationship with Hispanic Horizons, Mumbai Smiles recently conducted a talk at Hispanic Horizons. The talk was an interactive one with the Communication Coordinator, Prachi Shailendra and Program Officer of Responsive Action project, Komal Sewak, sharing with the students of the institute about the long relationship between the two entities and the various opportunities and ways in which they can volunteer with us. The classroom was full of students of different levels (learning levels of Spanish) and seemed excited when we shared with them how Komal had in fact started working with Mumbai Smiles as a volunteer first, and then having worked with us for 6 months as a dedicated and talented volunteer, she joined us full time when the vacancy arose for the same. The classroom seemed very enthusiastic about the different ideas of volunteering with us, as a language expert, communication expert, designing expert, event organiser etc and some of them showed a great interest in getting associated with us and we are thrilled with this super positive response! Hoping to work with some of the most creative, enthusiastic and fun minds in coming months.